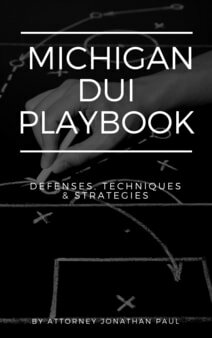 In Michigan, a police officer may administer a preliminary breath test (PBT) to a suspected drunk driver; the results of this test could lead to probable cause to arrest. 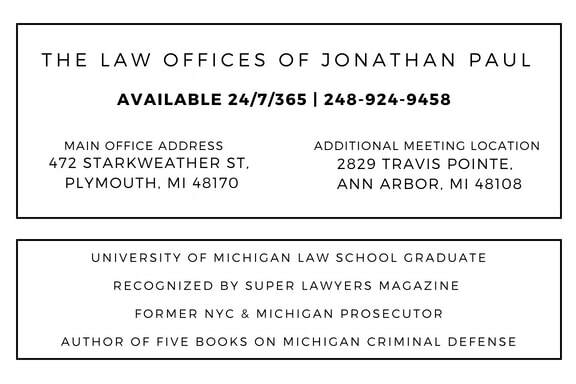 For the most part, the PBT results are not admissible at Michigan drunk driving trials, but there are exceptions. The PBT is not admissible, because it is not tested for accuracy as often as the DataMaster. The results are admissible at a probable cause hearing to determine the validity of an arrest. If you were arrested and charged with a drunk driving offense in Michigan, and the only basis for your arrest was your PBT result of less than .08, the court may find that the officer lacked probable cause and suppress all evidence obtained after the arrest. The PBT results are also admissible at trial to rebut evidence by the defense if a defense witness testified on cross-examination that the defendant's blood alcohol level was higher at the time of the offense than the chemical test results revealed. An example of this would be a PBT result of 0.14 and the DataMaster result is 0.17, and you are charged with a High BAC offense (BAC above 0.17. The prosecution cannot argue that your level was higher than 0.17 because there is evidence that the BAC was actually 0.14 at the time of operation. Finally, a PBT result can be admissible as rebuttal evidence by the prosecution of the defendant's blood alcohol level at the time of operating if offered by the prosecution in response to cross-examination testimony of a prosecution witness that the defendant's blood alcohol content was lower at the time of the offense than when the test was administered. An example of this would be a PBT result of 0.19 and a DataMaster of 0.17, and the defense would have the jury believe the Defendant's blood result was lower than 0.17 at the time of operation. PBT results are essentially safeguards that stop a party from swaying the jury in a direction that the physical evidence would disagree. There are some judges in Michigan that regularly admit the results without consideration for the stated exceptions. An experienced Michigan DUI attorney will factor the PBT results into your case, and file the appropriate pre-trial motions in limine to either have the results admitted or not admitted prior to trial.